Saturday 11th May - Sunday 12th May 2019 . 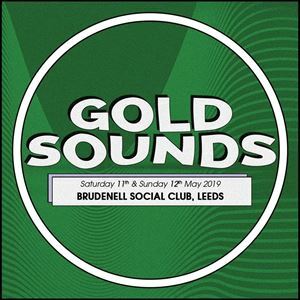 Now in it's fifth year, Gold Sounds Festival returns to the legendary Brudenell Social Club in Leeds this May. Firmly established as one of the most exciting and unique events for new alternative music in the country, this years edition will once again welcome 25+ artists across two stages, over two days. Previous guests includes Yuck, Cabbage, Cloud Nothings, Homeshake, The Big Moon, Turnover The Wytches, Merchandise & Cheatah, and this year we have another special line-up with the first announcement headed by the returning Fat White Family coming to Leeds ahead of third album Serfs Up! on Domino Recording Company. Joining Fat White Family are Manchester / Doncaster 3-piece The Blinders who come back to Leeds off the back of sell-out shows and a huge tour for debut album Columbia released in 2018.